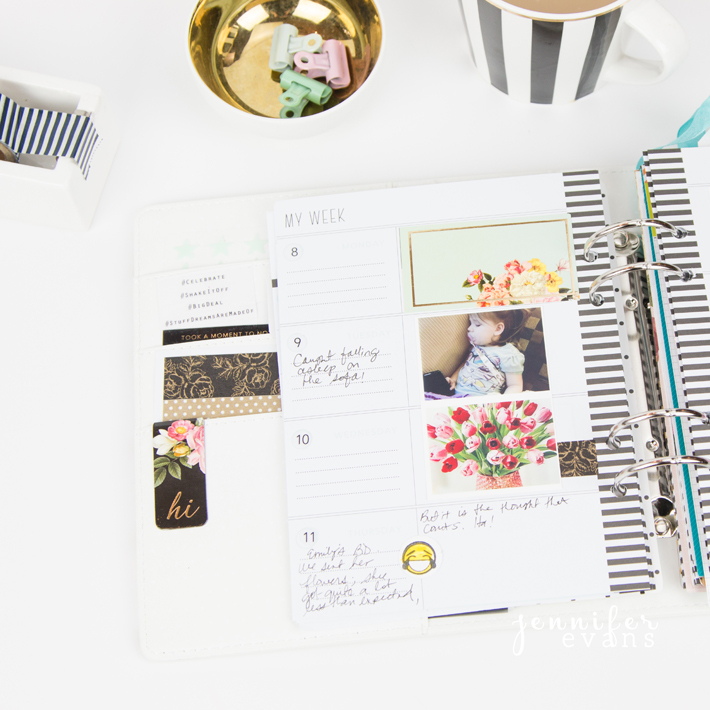 February went by way too fast, which is why I am so thankful for my Memory Planner to keep these memories alive! At the end of the month I didn't couldn't have told you if February was good or not. All I could remember was how I have stopped eating sugar and all I want is a donut. Ha! 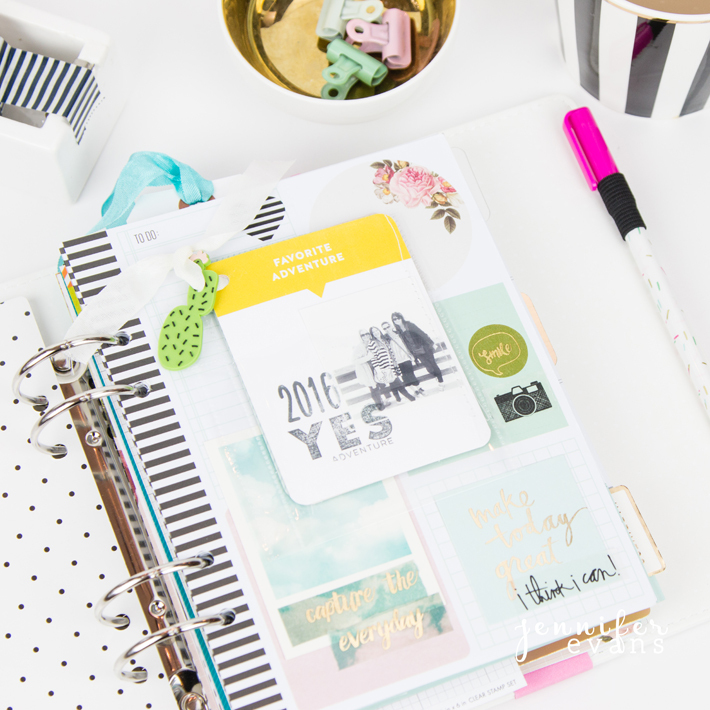 Then I started flipping through my planner and I was able to remember all the sweet, funny, and good moments that I never want to forget again! 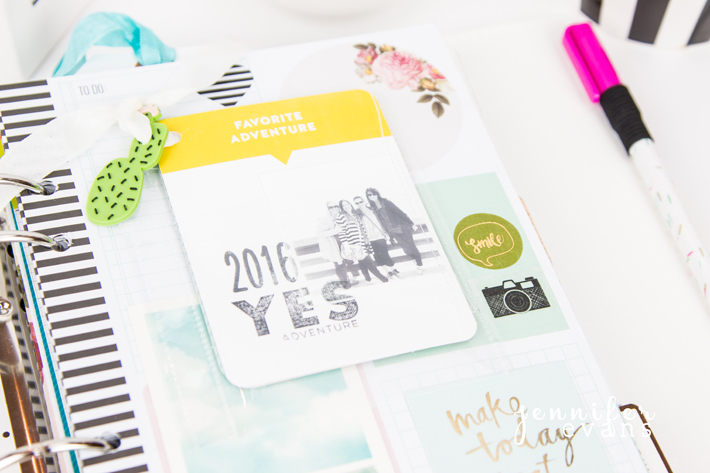 My favorite part of my February Memory Planner pages is this little mini book that was made for me by Maggie Massey. I just had to adhere a pocket to the front to slip it inside so that I can look at it whenever I want. I added lots of candid photos this month! This helps tell my everyday story. I even added a screen shot of the flowers that was suppose to be sent to Emily Waters, Heidi Swapp's marketing specialist, by the media team. When really she got half that and a few irises thrown in. That makes me laugh every time I think about it! 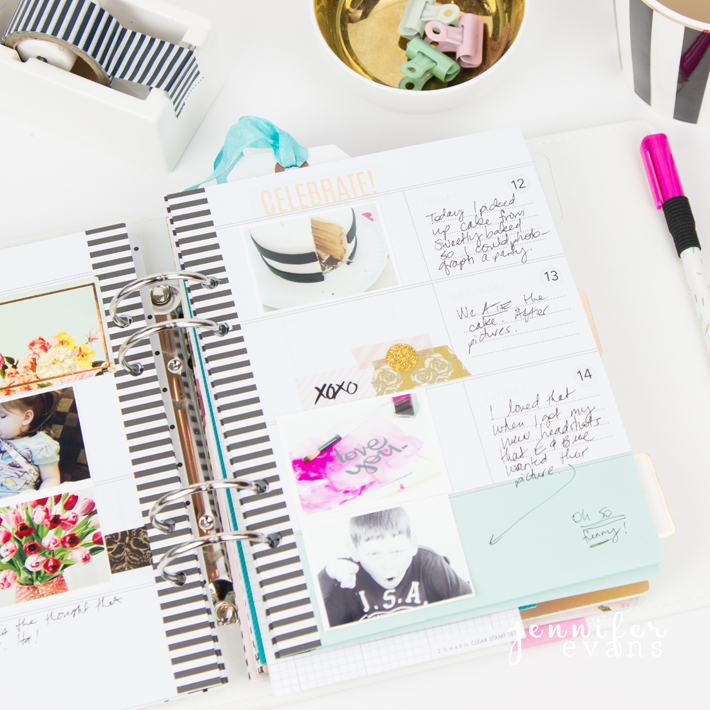 I love day 12, "Today I picked up a cake from Sweetly Baked so I could photograph a party." Day 13, "We ATE the cake after pictures." Hence the reason why I am not having sugar right now. 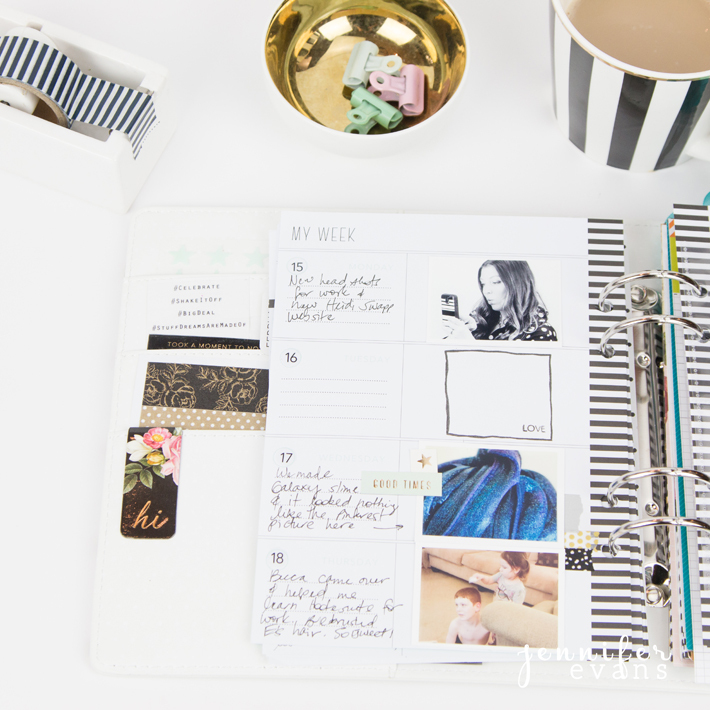 Create Well: Document the hard with the good. Later the hard might be just what you laugh about.